Re: Sky Insurance and 406OC - 20% Discount! Captain Jack wrote: I don't think this company has anything to do with Rupert/News Corp. The company name is very misleading if this isn't the case. Fair enough. Cuts out those comparison site commissions too! Will be looking to change at renewal in august as Quinn Direct are getting shoddy with their customer service. 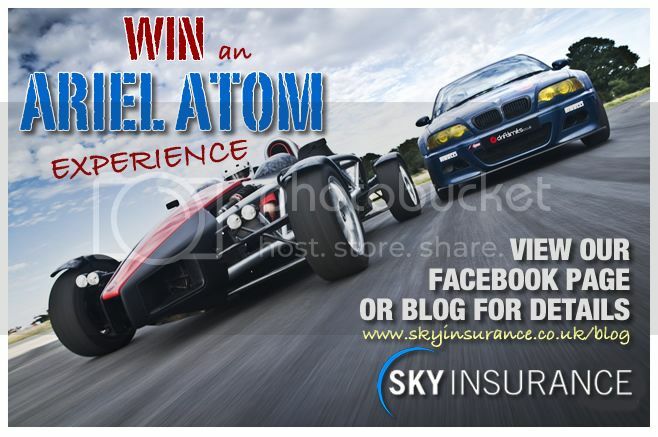 Sky Insurance - Competition to win Awesomefest 2011 tickets ! every so often we run competitions for our affiliated car clubs. We’d like to invite you to enter the latest competition to win tickets for the freshest event on the calendar, Awesomefest 2011. The competition is free and anyone is welcome to enter. For more information, view the Awesome Fest page on our website. Thank you to everyone who entered, the competition is now closed. Congratulations to all winners, we look forward to seeing you at the event! it is rare we post on our affiliated car club forums unless answering customer queries/insurance questions etc but we are so proud to be involved with Awesomefest we are keen to show it off! If you attended Awesomefest 2011 held 29th – 31st July at Mallory Park race circuit, you will love this film - if you didn't attend, you'll probably be regretting it after seeing this - and hopefully booking your tickets for next year's event! We are very proud to introduce this stunning film captured by Stephen Brooks. You can view the film on the Modified Car Insurance page of our website. It's a sensational film - well worth the watch!! If you have any problems using the facility, any questions or feedback, please let us know. Thank you Lozz for your kind words. We specialise in the sort of insurance you'll struggle to find on price comparison sites, eg import, modified or high performance. our 2013 competition is go go go! It's free and simple to enter, all you need is in the link below. Sky Insurance customers will receive two entries, please when you email us make sure you make it clear you are a customer! Link to competition details below.